Medication adherence improved in both groups of patients who used secure messaging. Optimal medication adherence improved for both groups of patients using secure messaging. First-fill drop-off rate also decreased among patients using secure messaging. Historically, people with complex conditions may receive telephonic or in-person support from a specially trained nurse or pharmacist with the goal of helping the patient better manage their condition(s), take their medication(s) as prescribed and improve their overall health outcomes. In this increasingly digital age, however, people are turning to technology for help with a range of things, including health care. Recognizing this shift toward digital engagement, CVS Specialty is bringing patients innovative digital and online tools to help them better manage their conditions and access additional support online. This includes secure, two-way messaging that puts a nurse or pharmacist at the patients’ fingertips. Powering this capability is a proprietary, company-built tool loaded with therapy- and indication-specific clinical information. Patients opt-in to receive personalized message alerts via their mobile phone asking if they are experiencing certain common medication side effects. The messages are based on clinical trial data, the drug’s label and feedback from other patients, and are timed to reach the patient when they are more likely to experience a specific side effect. The message also includes a link to enable the patient to ask the pharmacist a medication-related question. Following the launch of this tool for patients with chronic myeloid leukemia (CML), initial results were promising, with high engagement rates and improved medication adherence, compared to more traditional support methods, including telephonic outreach. 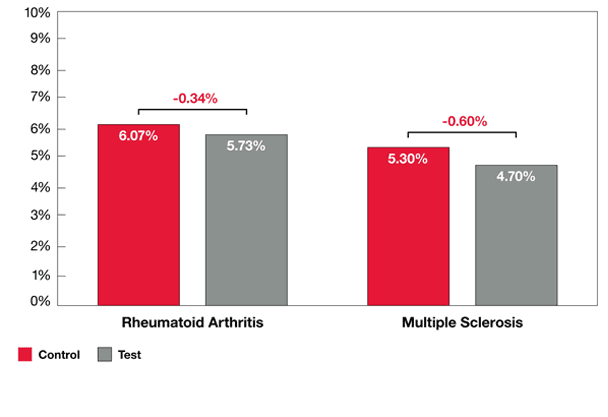 With positive results in patients with CML, CVS Specialty quickly expanded use of this tool across all specialty conditions and recently conducted a retrospective analysis of specialty pharmacy claims and use of secure messaging in patients with rheumatoid arthritis (RA) and multiple sclerosis (MS). These findings were recently presented at the Academy of Managed Care Pharmacy annual meeting and showed that patients with these complex conditions can also benefit from this type of digital support when compared to more traditional support methods. Specifically, patients who received the customized, secure clinical messages on topics including adherence, condition management or side effect management, every 30 days, were more likely to re-fill their prescription(s) and achieved significantly higher medication adherence than the control group. 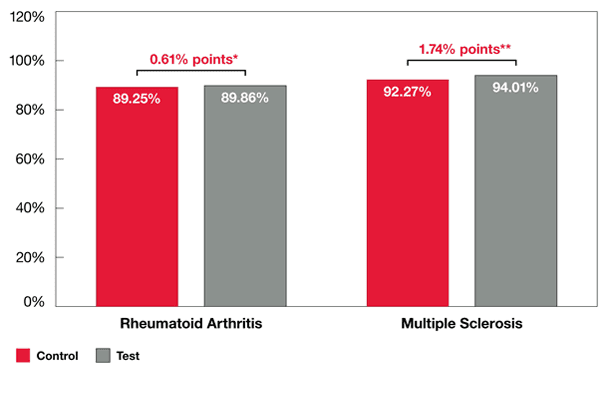 In fact, optimal adherence for patients in the study with either MS or RA receiving this digital clinical support improved by 3.82% and 2.12% points, respectively. At CVS Specialty, the goal is to help patients on their path to better health by offering support where and when patients need it most. 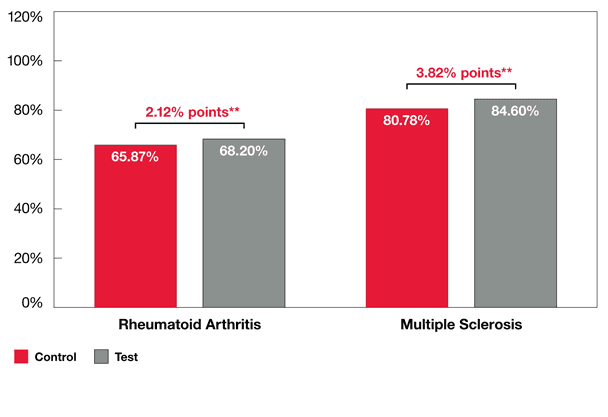 This data shows the promise of clinical support delivered digitally and, as part of a health care innovation company, CVS Specialty is committed to continuing to help more patients manage their diseases in a way that meets their individual needs. CVS Health's digital purpose is to help customers pursue healthier lifestyles while saving time and money.